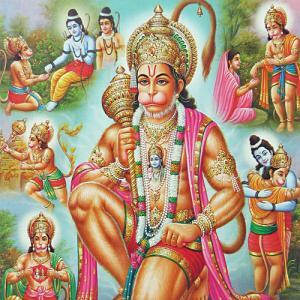 The importance of Hanuman Chalisa is very much and is associated with numerous benefits. The various verses are also referred to as Dohas. Every Doha of the Chalisa has various benefits tied to it. Lets have a look on the benefits of various Dohas. On reciting the opening phrase 'Jaya Hanuman Gyaan Guna Saagara' will endow one with divine knowledge inherent in the life of every being. With the help of this knowledge, it is almost impossible to get deadlocked with life's many challenges. The third doha which begins with Mahavir Vikrama helps give strength to people and totally stay outside the influence of undesirable company. The seventh and eighth verses of the Chalisa will help one understand the spirit of Lord Rama and get closer to the divine entity of the Lord. The 14th and 15th Chaupayis will help in endowing a person with deserving fame. You will be appreciated for your efforts and your potential to perform capable tasks will only grow.